Nirvana are widely considered to be among the small number of bands that have left a lasting impact on not just popular music, but society as a whole. During their 7 years as an active band – abruptly cut short by the death of front man Kurt Cobain – they managed to channel the angst of a generation, churning out care-free & anarchic anthems full to the brim with attitude. For a three-piece, they had a notoriously massive sound. Their musical style on record was sculpted by a number of producers across three releases: Bleach (1988), Nevermind (1991) and In Utero (1993). Jack Endino, Butch Vig, Steve Albini and Scott Litt were among the people who contributed to their vibrant, abrasive and, at times, tender sound. Nirvana spearheaded the grunge movement alongside the likes of Pearl Jam, Soundgarden and Smashing Pumpkins, among others. Gritty guitar riffs, dizzying production and slurred, strained vocals were the flavour of the moment. The three members of the band contributed in their own ways, each totally distinct from the other; Krist Novoselic’s lumbering basslines underpinned some of their most powerful musical moments. Dave Grohl delivered a seemingly endless supply of energy and momentum with his electrifying drum parts – a trait that he carries with him to this day. Then there was Kurt Cobain. A troubled individual whose struggles were evident in every note he sang and every string he played, Cobain was the reluctant poster boy for a disenfranchised youth. His ability to hone in on raw emotion with his songwriting was at the core of Nirvana’s success. He famously played his guitar in a way that was somehow lethargic and frantic at the same time; the buzzsaw power chords interwoven with screeching dead notes and open strings in ‘Smells Like Teen Spirit’ are a perfect example. In this edition of our Sound Like series, our resident guitar tone experts Matt and Rabea will be attempting to replicate this iconic sound, taking influence from Cobain’s own gear choices. They’ll be on a budget of £1500 – not an easy feat, but we have every faith that they of all people can do it! Cobain was a frequent user of Fender guitars – most notably Mustang and Jaguar models. He even collaborated with Fender to design the Jag-Stang, now a rare and highly sought-after instrument. It’s worth noting that Cobain was left-handed, so he was somewhat limited in terms of what he could play – one of the reasons he helped design a guitar for himself. His most common pickup configuration was a humbucker in the bridge and a single coil of some description in the neck; this provided meaty, fuzzy tone for riffs and bright cleans with plenty of depth when needed (check out the intro to ‘Lithium’). A Univox Hi-Flier – twin humbuckers and a curvy retro body shape, Cobain owned a number of these from the early days on Nirvana. Several were destroyed during performances. 1990 Fender Stratocaster – HSS configurations, often with pickups swapped out by Cobain and covered in stickers. Aria Pro II CS-350 – a rare addition to his arsenal, this guitar showed up in the early 1990s and had most of the control knobs removed. Matt and Rabea naturally gravitated towards the Fender and Squier Jaguar and Jazzmaster models – the aim was to get as close as possible to the pickup configuration and wood combination of Cobain’s guitars. In the end, they settled for a Fender Classic Player Jaguar HH. They noted that this was (at the time of filming) the most expensive guitar they’d chosen for a Sound Like (without busting the bank!). As the name suggests, the Classic Player Jaguar boasts dual humbuckers – Fender Enforcers to be specific – which provides all the meat required for the anthemic Nirvana sound. Thanks to the Jaguar’s comprehensive switching options, the guys were also able to squeeze a singlecoil-esque sound from the neck position, perfect for the cleaner moments (‘Come As You Are’ for example). Bonus points for the fact that it also looked the part! Cobain had a unique way of amplifying his sound, both live and in the studio. His favourite amp was rumoured to be a Fender Twin Reverb belonging to Jack Endino, the producer of their debut album Bleach. These amps were used extensively during their studio sessions and on a number of their tours. One of his more unorthodox approaches was using a Mesa Boogie studio preamp with a Crown power amp, then running it through a number of speakers – anything from Marshall cabs to cheap radio speakers. As long as it could cope with the volume, he didn’t really care; it simply added to the grittiness of the band’s sound! Matt and Rabea had a slightly smaller budget for their amp choice having chosen the Fender Jaguar. They considered Fender amps, naturally, as well as Vox amps for their notoriously punchy valve sound. After a brief consultation with the Captain himself, they were pointed in the direction of Blackstar valve combos, with the aim of capturing a versatile American-style sound that had enough tonal legroom to match the Jaguar. The Blackstar HT20 Studio offered the perfect amount of tweaking options within their budget. With two channels, a number of EQ controls and a diverse gain structure, it seemed to fit the bill perfectly. 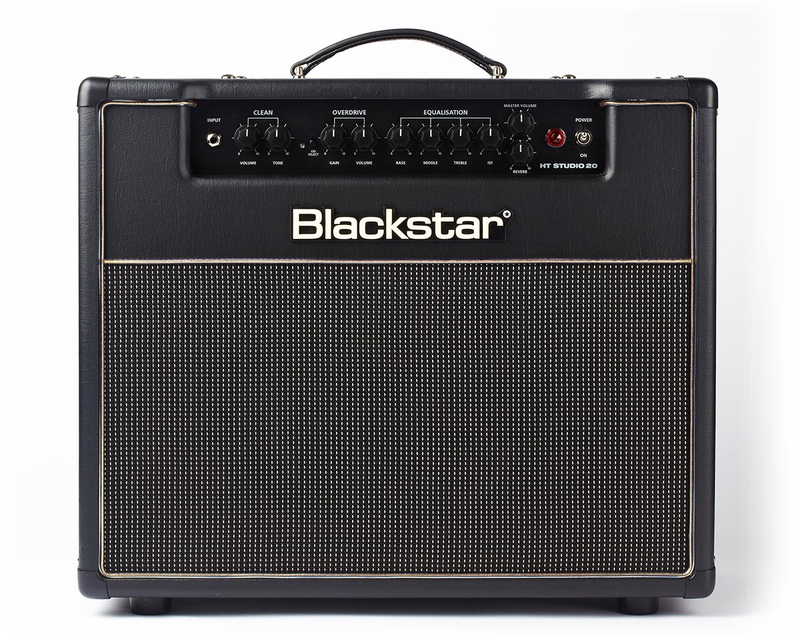 The Blackstar HT series is known for it’s ISF control (Infinite Shape Feature), a control which creates a spectrum between UK and US amp sounds. Rather than choosing one of the other, you can carefully tweak to find the perfect tonal sweet spot for you! Cobain’s care-free approach to guitar playing and tone meant that he gradually pieced together a simple setup to make as much noise as possible with minimal effort. No fancy pedalboards here, no stacked ambient pedals or multi-FX – less is more! He used a combination of distortions, fuzzes and modulation effects live and in the studio. Among his favourites were the ProCo Rat fuzz, the Electro-Harmonix Echo Flanger and the Tech21 SansAmp. Many argue, however, that his sound could be attributed to two crucial stompboxes: the Boss DS-1 Distortion and the Electro-Harmonix Small Clone. Both of these pedals were cornerstones of his setup, the DS-1 providing the layer of grunge grit we know and love, and the Small Clone being responsible for the swirling, almost drunk chorus effects of some of their most iconic tunes. It’s only fitting, therefore, that Matt and Rabea honed in on these two effects for their Sound Like quest. Due to their dwindling budget (having already opted for a Fender Jaguar and a Blackstar HT20 Studio), they narrowed their choices down to two Boss stompboxes: the DS-1 and the CE-5. By stacking the DS-1 on top of the Blackstars OD channel (with the gain rolled right down), they were able to attain a gritty overdriven sound that struck the perfect balance between fizz and depth. By tweaking the Blackstar’s ISF feature, the sound adopted an American persona, perfectly complemented by the DS-1’s simple yet instantly recognisable tone. The CE-5, with the rate and depth settings on medium/low, delivered a great Lithium-esque tone. Slow, warbling chorus that doubled-up that subtle clean tone, perfectly complementing the unique Nirvana take on the grunge genre. How close to Cobain did Matt and Rabea manage to get? Leave a comment below and share your thoughts! Rabea: All right guys, it's Rabea. Rabea: And this is Sounds Like on Andertons TV. Rabea: There's music going on and we need to stop. Basically, who we're sounding like today? Matt: - yes, the king of Kurt Cobain. Rabea: Rest in peace, man. Matt: Yes, so obviously that guy, Kurt Cobain, he was in Nirvana and then sadly isn't with us anymore. Rabea: They were the leading sound of the grunge movement, I would say. Most commonly saw playing the Fender Jaguar, was it or the Jazzmaster? Matt: The Mustang and the Jaguar. He had a bunch of different ones, but also he's famous for smashing up gear, so he'd gone through quite a lot of different stuff. He really had a fascination with pawn shop-style gear - basically really cheap stuff that he could break and then get it again or get a different thing. He used Hi-fi speakers, not just amps. He used clean preamps. He used a lot of different stuff, but we're going to try and get it sound and totally some gear that fits the bill for our budget of £1,500. Rabea: We're going to pinpoint particular riffs maybe sections of songs because it's a lot easier to pinpoint those sounds and those tones than it would be to do a general overview of the Kurt Cobain sound. Matt: Hopefully do it justice essentially. Rabea: Let's do it. There's a Squier. Now, this is a Squier. I can't say exactly how much it is right this second, however, my first initial impression is it's a little bit too glitzy and glam for Kurt Cobain. Matt: Jaguars and Jazzmasters all for about £300. Matt: The green one's cool as well. Rabea: The green one is slightly more Kurt Cobain, although he was darker blue, wasn't he? Matt: He had a few. Rabea: You've got all this cool stuff as well. All basically loads of switching that currently, I have no idea what it does. I can find out and it might do the job. What do you reckon? Matt: Yes, it's not a bad shout. Rabea: Or we go for some Duncan designed wide space pickups. This is slightly easier because we've got the three-way toggle. It doesn't look bad. What do you think? What's going to be more Kurt Cobain-y? Matt: I don't know. We found this Fender Jaguar. Rabea: - because this is probably the most expensive guitar we've chosen for a Sound Like. Matt: Yes, so we're hoping that if we take this Jaguar for £800, that the £700 we have left we'll be able to get something loud and good amp-wise - and then probably a couple of pedals. Rabea: We found ourselves in front of Vox. Matt: We're in the Vox section. We did play Vox for a bit as well as just a load of random stuff. Rabea: - It's quite easy to just go and get something solid state and then just go, "I'll worry about it later" but to be honest, I think there's still enough room in the budget to go with something half decent and then buy some pedals that are slightly cheaper. That's such a tiny little speaker. Matt: It is a valve, though. Rabea: It is valve, but it's got 10-inch speaker in it. Matt: It's probably a little bit small. Rabea: Then there's a four-watt, 12-inch speaker combo, but four watts isn't going to be giggable and that's one of the remix of this whole program is that it has to be a giggable rig. Here's the Captain! Lee Anderton: Don't trust anything you'd say. Rabea: Kurt Cobain, what kind of amp would he use? Lee Anderton: Kurt Cobain? Wasn't he Boogie? Rabea: He had it as preamp. Lee Anderton: Could he do the whole - right, okay. Rabea: Because we've got an £800 Jaguar and we're thinking of an amp that's going to sort it out to be Kurt Cobain and then with a couple of pedals. Guest appearance right here. Matt: We were thinking one of the Vox. Lee Anderton: I don't think Vox. Lee Anderton: No, I don't think Vox. He's got some very American sounding. Lee Anderton: Yes, probably. I think if you've got a good distortion pedal-- what you want is a boogie kind of vibe. Blackstar HT 40 or HT 20 would be good. Rabea: That could be a good idea. Lee Anderton: I'm sorry. Anyway, I'm helping a customer. I got to go, bye. Matt: that was fun wasn’t it? Rabea: Yes. Okay, let's go check out Blackstars. Rabea: We've found ourselves in the line of Blackstar and Marshall. The predicament we're in right now, ladies and gentlemen, is that because of the nature of the gear that Kurt Cobain used, we can't get ahold of that stuff. We can't get a Boogie preamp on that budget. Also, we can't use Hi-fi speakers, so there's plenty of stuff we can't do. We need to just make an assumption on an amp that might achieve that tone. Matt: It is a little shot in the dark based on the fact that we know what the records sound like. Rabea: What is that? The HT studio 20. Matt: This one, the Venue. Yes, HT studio 20. That's £500. Rabea: Yes, because it's got ISF on it and that's the infinite shape function, I believe. Rabea: We can just shift over to the right and hope we get Boogie-esque sounds. We'll put some pedals in front of it. Put some reverb in there. Matt: It's got built-in gain as well so that should be helpful. Rabea: Let's do it. We don’t have an OD-1. Matt: No but's there's an OD-3 for 375 squids. That might be a shout. Matt: That's a bit more expensive by about £40 and it's chrome and sparkly. Rabea: We need something like a chorus. Matt: It's chorus ensemble here. Rabea: Look at the chorus ensemble, the CE-5. Rabea: We've got the gear. Do we have any idea? Matt: We're back in the video room. Rabea: On tonight's show with Matthew Hornby. Matt: - On tonight's show with Sounds Like. We're back in the video room. Today trying to sound like a Kurt Cobain from the ultimate Nirvana. Rabea: It's a pretty tall order, I must admit. Matt: It is. Before we even go anywhere near the gear we've chosen, I'm an idiot. In the shop, I was talking about the OD-1 quite a lot. This is an OD-3. Kurt Cobain didn't use an OD-1, he used a DS-1. The DS-1 is what we have here, which is the correct pedal, so let's get that out of the way. Rabea: It's good to be honest with your audience. As you were saying before, the difficulty with this tone is because the gear was so oddball especially in the studio who knows what they might have actually ended up using. Matt: We're going for one rig that’ll sum up a lot of his main sounds recorded. Rabea: Because he did a lot of weird stuff, it's not that simple. Matt: I did read though he smashed up so much gear that every gig he did just sounded different because he had different gear. Rabea: He used a Boogie preamp which we can't get, but the captain rightly pointed out that something like a Blackstar HT studio or something like that with the ISF control might make us closer into the realm of the American valve tone, so we opted for the Blackstar HT studio 20 which is a great sounding amplifier. It's two channel with reverb and it does the job. We've actually used both channels for different riffs on this. Rabea: Guitar-wise as we picked out earlier. This is the most expensive guitar we've ever used on a Sound like. Matt: For the person who cared arguably least about their sound. Rabea: What I really like about this is you can tell it's an £800 guitar`. Rabea: It does a lot of cool stuff with the switching, which I still haven't necessarily 100% worked out, but it plays really good. It's holding its tuning really well. That's the kind of thing you can expect when you get a Mexican Jaguar. Matt: This is as close as we could find, as close as we could get to hopefully sound like Kurt Cobain. Rabea: Yes, so let's give you-- this is how it sounds on the clean channel so straight in. Rabea: It does loads of stuff with the wheels, and the different switching, and things like that. We managed to get close to that Lithium sound by having the chorus, but the rate and depth on really low, and just having it sitting there to double up that sound. Rabea: It's got that vibe about it. The other thing that's really cool about the amp is, if we go over to the overdrive section, we've got the gain on pretty much, there's nothing there, with the volume on quite high. It's got a bark to it. Matt: It does, yes, yes. Rabea: It's really, really nice. Then to get that-- It's almost like, I don't want to say cheap because it's not, but it's got a really fizzy overdrive as Kurt Cobain on the records. It's really like-- Like we were saying, throaty, and just a bit harsh. Isn't it? Matt: Yes, I think if-- That's probably the only way to describe it. Yes, it is. It's a nice sound. It's not a horrible sound. Rabea: Kind of sound really, really well. Then you have the chorus to it, and it does that kind of classic Kurt Cobain chorus with distortion. Matt: No, he didn't do that. Rabea: -pinchy pinch. 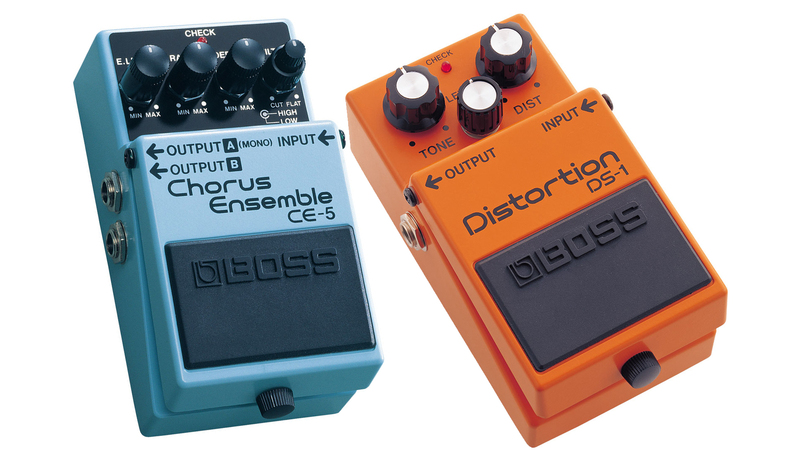 With only two pedals, bearing in mind that's the Boss DS-1 and the Boss CE-5, I don't know, it's pretty good. Matt: I think it's a good rig to get. This isn't super light over driven, but we can get really spangly cleans. It's probably quite good indie rock kind of rig, if you threw in a delay pedal. Rabea: Yes, and I think by blending the DS-1 with a tiny bit of bite from the amp, is getting as even closer to that grungy sound. What I always associated grunge with when I was younger was really muffled, non-clear sounding guitars, but actually it's the other way around. At least from doing this video, it seems like it's just a lot of gain, a lot of noise, but it's not necessarily undefined, if you know what I mean. Matt: I have to say that the sounds of the records, right now, it's still really awesome. Rabea: I guess what we are saying at the same time is, because the gear is so oddball, we have tried our very best to sit in the room, listen to the records, and then play through this gear, and get it as close as we can. We want you to tell us how well we did. Comment in the comment section below. We just love to hear what you think and how well we played. All the links to all this gear as well as in the description box, so if you are interested in any of this stuff, then you can find it. Matt: This has been Sounds Like on Andertons TV.